Google+ Consumer Psyche: Like Painting? 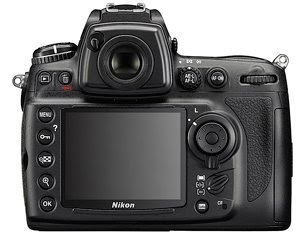 The D700 has a 12.1-megapixel FX-format CMOS sensor with a sensing area of 36 x 23.9mm. The camera has an ISO sensitivity range of ISO 200 to 6400 and can shoot continuously at up to 5 frames per second. If 5 frames per second isn’t fast enough to suit you, the D700 can shoot at up to 8 frames per second with the optional Multi-Power Battery Pack MB-D10. The D700 supports 12 and 14-bit RAW images, TIFF, JPEG, and RAW+JPEG file formats. Shutter speed is 1/8,000 to 30s in steps of 1/3, ½, 1 EV, Bulb, and X250. 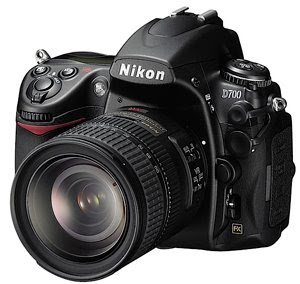 The D700 measures approximately 147 mm W x 123 mm H x 77mm D and weighs 2.19 pounds without a battery or memory card. The D700 will be available in late July for $2,999.95 for the body only.